Scarisbrick Parish Council is continuing with its rolling programme of bus-shelter replacement. 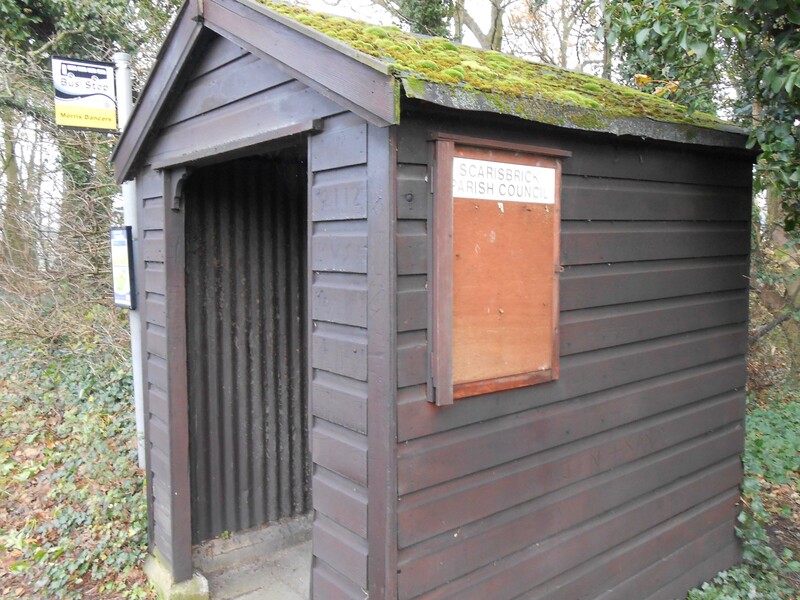 Some of the Council’s current timber shelters are more than 40 years old and maintenance costs are increasing. They are particularly susceptible to rot where the bases make contact with the ground. This often involves the structural framework of the shelters and is difficult to repair. Timber shelter (Image care of Rept0n1x at Wikimedia Commons). 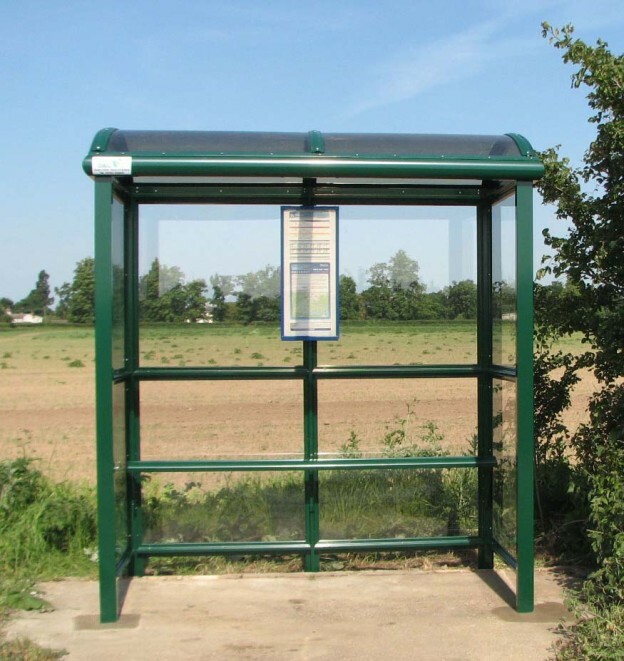 Although timber bus-shelters have been a distinctive feature of the Parish for many years the decision was taken to replace with modern aluminium framed shelters. These are more durable and cheaper to maintain than their timber counterparts and are therefore more in keeping with the Council’s responsibility to obtain value for money. Visibility is also much improved as buses can be seen from inside the shelter and bus drivers can see waiting passengers. The shelters should also be more resistant to vandalism. Budget constraints mean that we are able to replace one (possibly two) shelters per year without unacceptable increases in the precept. This is being done in order of priority based upon information from regular asset inspection. Up to now the shelters at Otterstye, St.Mark’s School, New Hall Drive, and Carr Cross (Ormskirk direction) have been replaced. The latter two shelters have recently benefitted from the addition of front panels to protect from prevailing winds. The shelter at the lower end of Bescar Brow (almost opposite Woodlands Avenue) has been identified as the next priority. This will be a semi-enclosed bus-shelter to protect from the wind. It will have a tinted polycarbonate roof. The front, side and rear panels will be glazed with toughened safety glass which is hard wearing and vandal resistant. Perch seating is included. An order was placed just before Christmas and there is an expected lead time of two to three weeks for installation. Drawing of proposed bus-shelter on Bescar Brow. The shelters at Heatons Bridge and the Elephant restaurant have been identified as the next priorities for the new financial year. 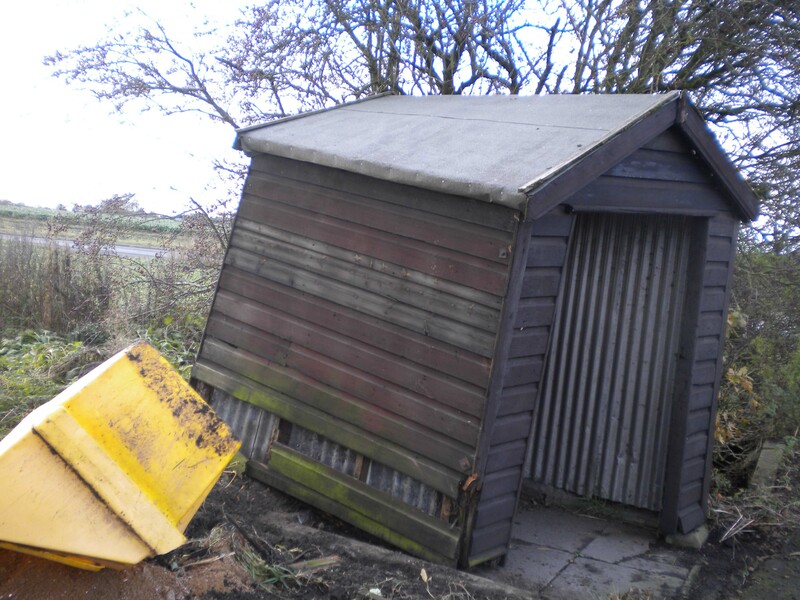 The shelter on Moorfield Lane has been removed following collision by a vehicle. This is currently subject to an insurance claim and should be replaced soon. Damage to Moorfield Lane shelter. The official website for the community of Scarisbrick, England's largest parish. 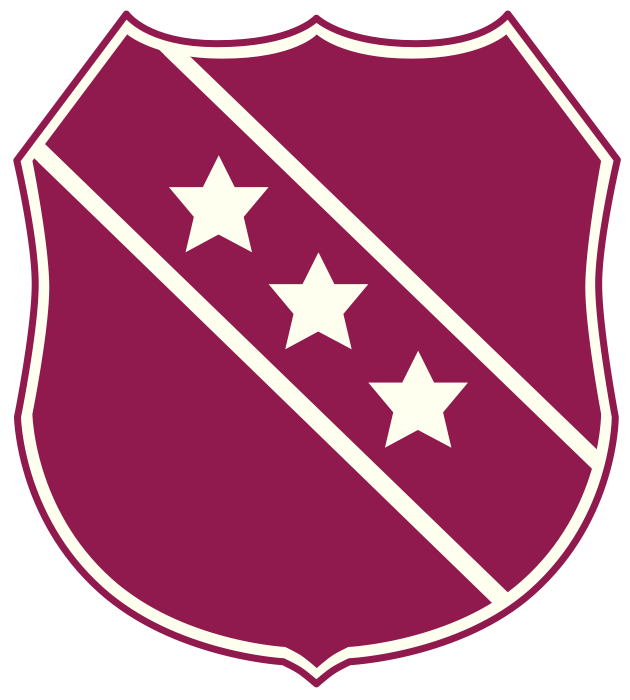 Design by Michael Herbert. © Scarisbrick Parish Council.